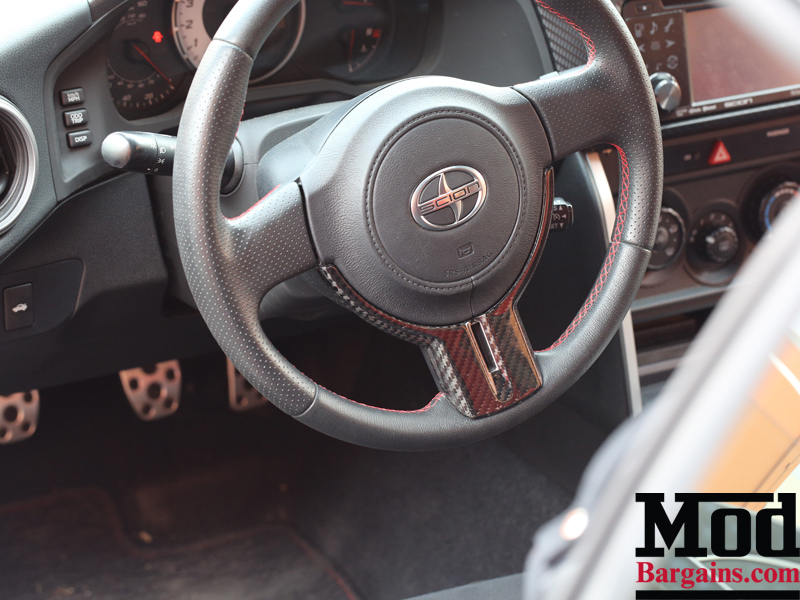 Are you looking to mod the inside of your FR-S/BRZ? 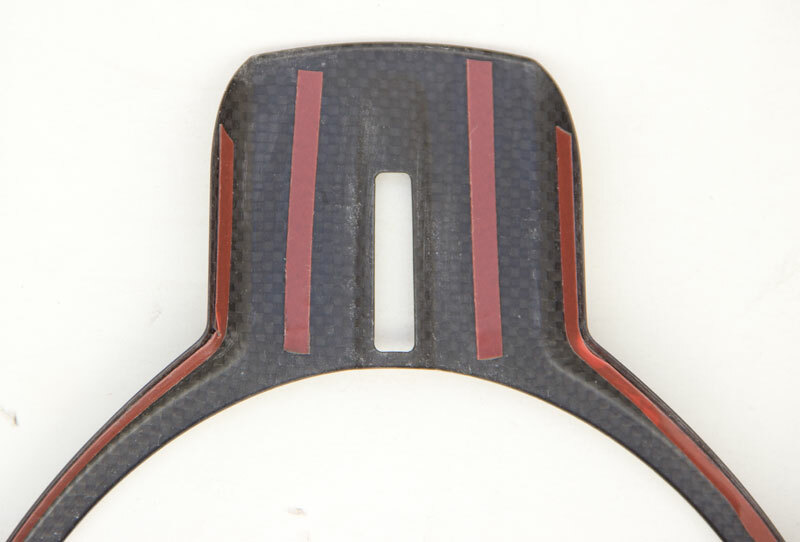 Then you'll need this Carbon Fiber Steering Wheel Trim for 2012+ Scion FR-S/Subaru BRZ [ZN6/ZC6]. 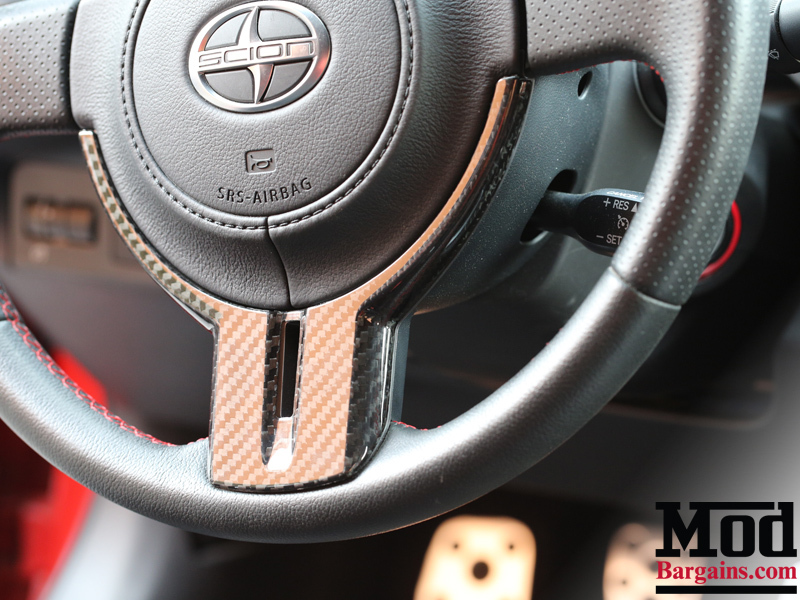 This cover is a simple, yet effective mod for the interior of your FR-S/BRZ. It installs with 3M tape, meaning no drilling is required. 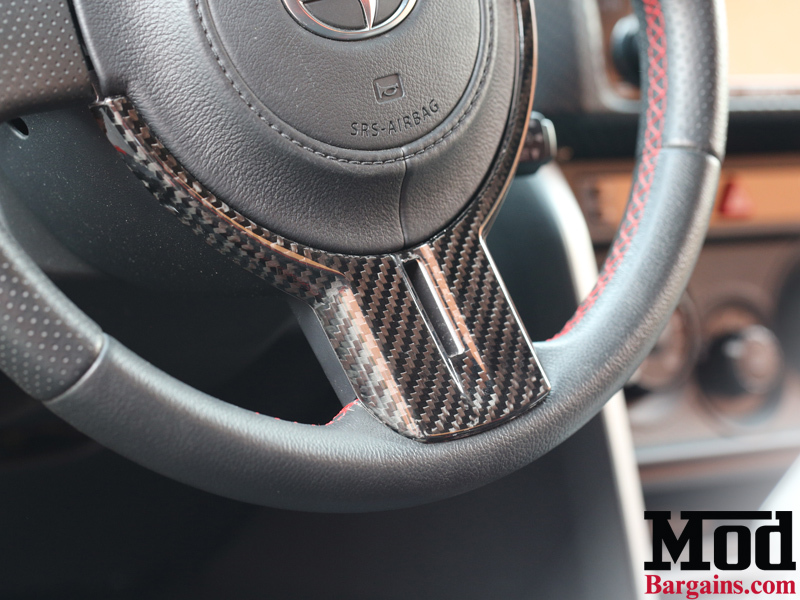 If you don't want to change your entire steering wheel just to achieve a modded look, then the Carbon Fiber Steering Wheel Cover is your solution. 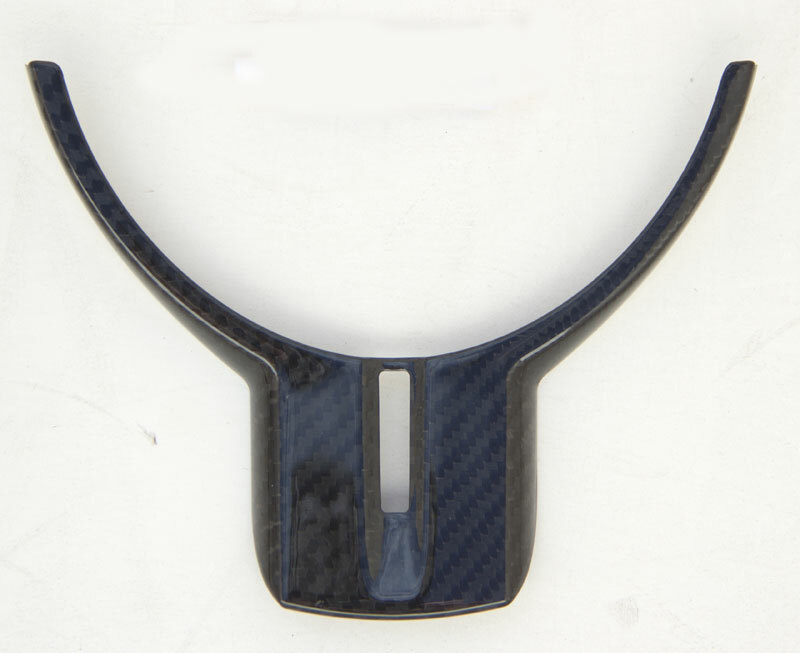 In addition, the factory airbag will still work, ensuring OEM safety for you and your passengers.